As Co-Founder/Owner of Velocity Title, G. Russell Donaldson, Esq. is responsible for leading one of the most forward-thinking title companies in the industry. With over three decades of experience as an attorney, Real Estate Broker, and title expert, Mr. Donaldson understands the industry like no other. As Co-Founder/Owner of Velocity, he is responsible for enhancing growth while ensuring the culture of customer service and integrity is met. He remains very active with day-to-day operations—working directly with realtors, loan officers, and home buyers and sellers to “move them forward” as securely and efficiently as possible. Prior to Velocity, Mr. Donaldson was Owner & President of Legends Title Group. Mr. Donaldson is also Founder and President of the Law Offices of G. Russell Donaldson, PC, opening the practice in 1999. Donaldson provides expert testimony to many law firms and real estate litigators and sits as an arbiter and mediator in real estate contract disputes. Legal professionals and high-profile celebrities seek out Mr. Donaldson for their legal and title real estate needs. One of the nation’s select few graduates of the Citizen’s Academy of the FBI, Mr. Donaldson has acted as a consultant with the Bureau on real estate and mortgage fraud matters and investigations. Additionally, Mr. Donaldson has been lead counsel on several real estate related litigations before the Maryland Court of Special Appeals and Court of Appeals which have had a direct impact on real estate practices in Maryland. Mr. Donaldson has also shared his expertise as a co-host of a MD real estate news show on WNAV Radio in Annapolis/Washington and has been a frequent guest on Channel 9 USA Morning News as a legal consultant on various legal and real estate and mortgage finance issues. 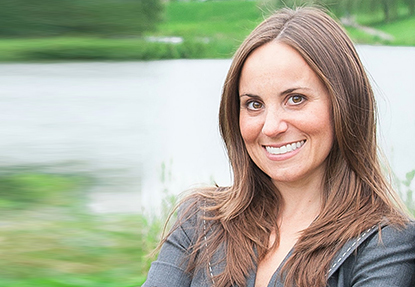 Christina Garvey-Berman is Co-Founder/Owner of Velocity Title where she is responsible for leading one of the most innovative and client-focused companies in the industry. With over 35 years of management and underwriting experience, Christina’s unmatched understanding of the title industry allows her to “move clients forward” with the most effective and streamlined services available. Though in charge of business operations, Christina is still extremely hands-on with all her clients’ needs—ensuring their final step in the homebuying process is efficient, easy and informative. Previously, Christina owned Gateway Title Inc., which she founded in 1995. There she was named Entrepreneur of the Year in 2015 by the Greater Bowie Chamber of Commerce. As a recognized veteran and underwriting expert, Christina regularly trains and educates fellow colleagues on the latest title updates and trends—as well as the basics of real estate practices to those just getting started. Christina holds a Maryland Title Insurance License, is a Notary Public, and a member of the American Land and Title Association (ALTA). As VP of Business Development & Marketing, Jeff Berman is responsible for identifying and developing strategic growth opportunities to support the mission of Velocity Title. Jeff has spent over 15 years consulting in the title industry, and 30 years in sales management and business development in the technology field. Jeff’s unique experiences in the real estate industry, coupled with his technology expertise, allows him to strategically assess opportunities and advise on the best ways to keep both clients and the company moving forward. As a former licensed title agent, he has a thorough understanding of the importance and complexities of title insurance. Jeff uses this expertise to effectively lead Velocity Title’s business development team. Prior to his role at Velocity Title, Jeff was the Business Development Manager and Regional Sales Manager at several technology firms and was a perennial Presidents Club Achiever. He was recognized as a top producer every year of his sales career, and has extensive experience in growing successful start-ups. Jeff is also a real estate investor—having managed properties throughout MD and DE for over 15 years. Jeff is an active member of the American Land Title Association. He holds a Bachelor’s Degree from San Diego State University. As the Director of Velocity Title’s Builder Division, Barry DesRoches employs his 30 plus years of combined experience to help meet the unique needs of the homebuilding and commercial-development segments of the real estate industry. Barry entered the title business in 2001 as a consultant to establish systems and processes in a newly formed title company, Vintage Settlement Services, LLC. Shortly thereafter, Barry took the next step at Vintage by purchasing a controlling interest in the business. Successfully navigating the great recession, he managed the company’s growth and diversification. Possessing a strong new homes background from his previous leadership roles at both Ryland Homes and Cardinal Industries, Barry positioned Vintage as a major service provider in that marketplace. Externally focused with a strong desire to maximize growth opportunities, Barry determined partnering with an organization with stronger internal resources and like-minded commitment to growth would be the best path forward. Vintage and Barry researched numerous opportunities for partnerships before electing to join Velocity Title to lead their new Builder Division. A 1980 graduate of the University of Maryland with a bachelor’s degree in Business Management, Barry went on to earn an MBA in Finance from Loyola of Baltimore. Barry is a passionate University of Maryland Alumnus, having served in many roles including President of the Robert Smith School of Business’ Alumni Association, and as a member of the school’s Board of Visitors. Barry was one of 75 individuals honored for their dedication to the school when the school celebrated its 75th anniversary. Barry maintains an active involvement with the Sigma Chi Fraternity’s Gamma Chi Chapter and highlighted by his recognition as one of the 100 leading loyal supporters of the Greek System. Active in his own community, Barry is a long-standing member of the Rotary Club of Crofton, Maryland and is a recipient of their Rotarian of the year award. He also serves on the Board of the Crofton Chamber of Commerce. As the Director of Marketing at Velocity Title, Lauren oversees the brand strategy ensuring consistent and strategic messaging through all channels. Lauren works with the Executive Team to set goals, monitor work and evaluate results to ensure objectives are being met. She uses her over 11 years of B2B and B2C marketing experience to support Velocity’s mission to grow by executing campaigns that shape the brand and lead to increase market recognition and ROI. Lauren oversees all marketing and PR efforts—ensuring they align with corporate objectives. These efforts include: data management and analytics, media outreach, collateral development, special events, persona messaging, strategic inbound marketing content development, social media and more. For over ten years, Lauren worked as a Sr. Communications Specialist for a B2B consulting and technology firm. Prior to that she worked for a B2C PR agency. She holds a Bachelor’s of Science in Mass Communications from Towson University and is an active member of the Public Relations Society of America. As one of the most recognized settlement services providers in Maryland, Tracey DeHaut is a Senior Closing Officer at Velocity Title. With over 35 years of experience in the title industry, Tracey is focused on ensuring her clients get the best service possible. Having conducted thousands of closings, Tracey understands the importance of attention to detail, and works hands on with her clients—informing and guiding them through every step of the closing process. Prior to her role at Velocity, Tracey worked directly with Velocity’s Co-Founder, Christina Garvey Berman at Gateway Title, Inc., where she helped build it to be one of Maryland’s top agencies. Clients often request Tracey to conduct their settlement closings because they trust her experience. A genuine people person, Tracey’s gift of communication sets people at ease in every real estate transaction. She takes pride in her professionalism, and will do everything to move your client forward as efficiently as possible. Anne M. Walsh is a veteran in the title industry with over 30 years of experience handling complex commercial real estate transactions. As the Commercial Division Manager at Velocity Title, Anne is focused on meeting the unique needs of every client as efficiently as possible. Always striving to improve upon her last best, Anne uses her commercial real estate knowledge and resources to get her clients to the settlement table. Anne is well regarded and sought after in the industry. Her work experiences extend to a wide variety of commercial clients, including: Golf Courses, Municipal Purchases, Warehouses, Churches, Hotels, Day Care Centers, Subdivisions, Gas Station/Convenience Stores, Financing for a Hospital, purchases for the Archdiocese of Washington, SBA Loans and Redevelopment Authority transactions—to name a few. No matter the size of your transaction, you can count on Anne to provide you with professional service. Prior to Velocity Title, Anne spent seven years managing the Commercial Department at Gateway Title Inc. Before that, she spent the first two decades of her career working for real estate law firms in the Maryland area. With over 32 years of experience in the title industry, Dee Lagana Catlin brings the best in specialized closing services as Velocity Title’s Sr. Title Underwriter & Processor. Dee’s unmatched commitment to protecting and advising her clients in complex cases has made her a sought-after title professional in the industry. Dee understands the complexities of the short sale and foreclosure processes, and has the connections and resources needed to streamline the transactions. Because these types of cases have a higher potential for title problems, Dee diligently searches the title abstract and reviews the entire case history to ensure the buyers are fully protected and don’t experience problems in the future. She works hand-in-hand with Velocity’s in-house attorneys to rectify any issues that may be found. With such a client-first mentality, Dee is often requested by clients to handle their closing needs. Her integrity, experience and commitment are what sets her apart and makes her the first choice when looking to successfully close on complex real estate transactions. When she’s not busy with work, Dee is focused on spending time with her family. She is so thankful to God for all the blessings He has given her, including her wonderful husband and three amazing children. 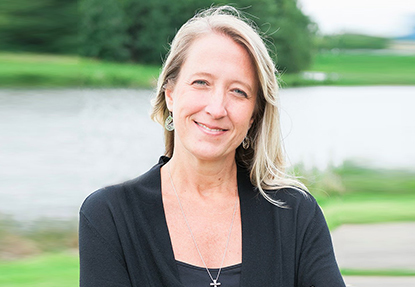 With over 15 years in the title insurance industry, Alison E. Curtis brings a wealth of knowledge to the Velocity Title team as its Branch Manager. Alison manages the Southern Maryland Division of Velocity Title—ensuring the title processing, closing, and post-closing steps are completed as effectively as possible. Her top priority is the satisfaction of her clients, which is something she accomplishes by keeping the transactions streamlined and easy. Prior to Velocity Title, Alison spent over seven years at Legends Title. Before that she worked at Beltway Title, managing its Owings, MD branch. Alison is an active member of the Southern Maryland Association of Realtors (SMAR) and has served on its Legislative Committee for the past 10 years. Alison has a Bachelor’s Degree in Literature from the Catholic University of America. When she’s not working, she’s busy with her three sons, husband and shelter dogs #adoptdontshop. She is a reader, photographer and runner who also spends her time volunteering and donating to St Jude’s, the Humane Society of Calvert County, Huntingtown Youth Club and Wigs for Kids. Kelly L. Cimino is a respected Settlement Officer at Velocity Title. With over 15 years in the title industry, Kelly works diligently to ensure her clients’ needs are met. With her extensive knowledge of not only the closing process, but also post-closing, she is able to move transactions along efficiently and accurately. Prior to joining Velocity Title, Kelly worked as a Settlement Officer and also managed two title companies that were opened through joint ventures with real estate agencies. She has a loyal client base that has followed her for years, and attributes this to her ability to put them first by staying involved in every transaction from start to finish. Kelly is currently an affiliate member of the Harford County Board of Realtors. She holds a Bachelor’s Degree in Paralegal Studies from Villa Julie College.